Quick housekeeping: If you want to make sure you know about all new publications on This Is Darkness, the best way is to subscribe to our email list. You can do this by submitting your email address via ‘SUBSCRIBE TO BLOG VIA EMAIL’. You will find this in the right panel as you scroll down slightly. As Facebook is forcing people to spend more and more money for less and less coverage, this is becoming increasingly necessary! Alessio Antoni introduced himself to me several years ago, when he released The Nhart Demo(n)s, as Nhart. Since then the project has morphed into NERATERRÆ. 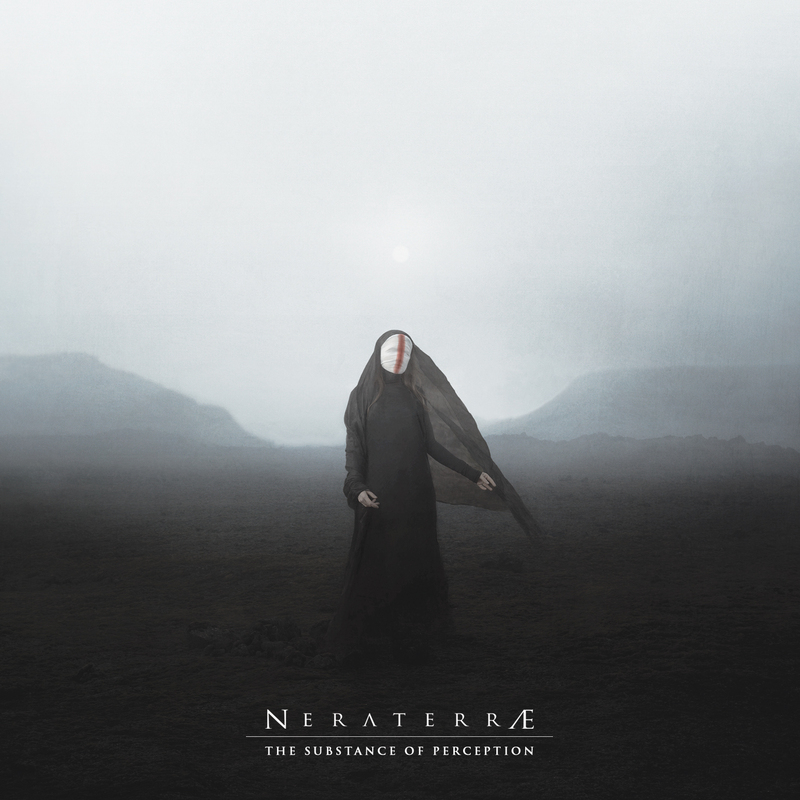 As NERATERRÆ, Antoni has quickly taken the dark ambient community by surprise with this incredible debut, The Substance of Perception. For this debut he has collaborated with some of the biggest names in the dark ambient scene: Northaunt, Phurpa, New Risen Throne, Treha Sektori, Taphephobia, Infinexhuma, Xerxes the Dark, Ugasanie and Flowers For Bodysnatchers (in order of appearance on the album). Such a surprising debut in the dark ambient scene warranted a closer look at the person behind the project. I hope this (relatively short) interview will help readers to know a bit more about Antoni and his new album, which is set for release on 26 April 2019 through Cyclic Law. Michael: Thank you for taking the time to do this interview with me Alessio. I’ve very much enjoyed your brand new release, The Substance of Perception on Cyclic Law, and I’m looking forward to finding out more about this unusual debut! Alessio: My pleasure, Michael, thank you for having me. I’m glad you enjoyed the album, It’s great to hear that, especially if it comes from you. Michael: The Substance of Perception is one hell of a debut! You have an all-star cast of dark ambient musicians collaborating with you on this album! How long in advance had you been planning this to be a fully collaborative album? Alessio: Ha! Thanks. There’s over two years of work behind “The Substance of Perception” (almost 2 and a half if we also consider the mastering process, which took me a while to complete it), but in the beginning there were no plans about collaborating with other musicians. The fact of sharing ideas, creating together and collaborating came out gradually and I really can’t tell you ‘why’, It just came out spontaneously. Michael: Is there any fear that people will have a hard timing knowing the specific NERATERRÆ sound, since the album is 100% collaborative content? Alessio: No, I wouldn’t say that, honestly; I only thought about it maybe once in the beginning, but I enjoyed the whole process and, more importantly, I still like the result; this is way important to me. I hope the listeners will enjoy the results too. Michael: Did you reach out to each of these musicians professionally. Or, did you already know some of them on a personal level? Alessio: I approached them all professionally, I did not know anyone on a personal level, and this made the whole thing even more exciting and, of course, gratifying, since they considered and “judged” my music and ideas in total honesty. As you can imagine, to have worked with immensely talented artists (such as Alexey Tegin from Phurpa, Flowers For Bodysnatchers, Infinexhuma, New Risen Throne, Northaunt, Taphephobia, Treha Sektori, Ugasanie, Xerxes The Dark) from all around the world means a lot to me. Michael: Do you remember when you first discovered dark ambient music? Who were your favorites back then? Has this changed over the years? Alessio: I fell in love with Dark Ambient and related around 2008, when I used to search for particular music to play in the background, especially while reading Lovecraft’s works. I used to listen to the same people who I listen to these days, and I keep on expanding my horizons. Anyways, I’ve always been into: Amon, Archon Satani, Atrium Carceri, Coph Nia, Deathprod, Desiderii Marginis, Deutsch Nepal, Kammarheit, Lustmord, New Risen Throne, Nordvargr, Northaunt, Raison D’Etre, Svartsinn, Yen Pox and some more. Michael: Now that The Substance of Perception is released, have you already begun plans for a follow-up, or are you taking some time to rest and let this album run it’s course? Alessio: To be honest, I’ve been working on a follow-up for a few months already. I’ve been kinda hyperactive lately. Anyways, I can’t really tell when it’ll be out nor what’s gonna sound like, but I like it so far. Michael: Do you have any plans for, or interest in, live performances? Alessio: Yes, I do have interest in live performances, but I got no plans by now. Never say never though, we’ll see what the future brings. Michael: Not only is The Substance of Perception a veritable ‘who’s who’ of dark & ritual ambient artists, but you’ve also managed to get Nihil & Daria Endresen to create the artwork. How did this come about? Was Frederic responsible for the contact there or did you have a friendship/communication with these artists? 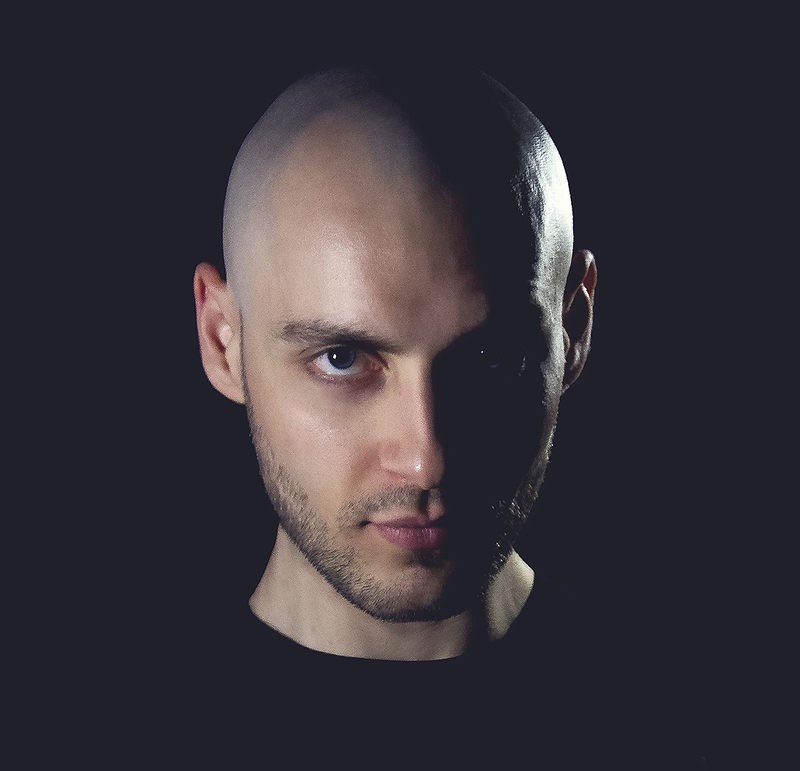 Alessio: I’ve been a fan of both Nihil and Daria Endresen for quite a long time; I contacted them for the first time almost over a year ago (if I remember correctly), since I wanted them to realize the artwork for the record (record which I was still working on at that time, btw). Quite a bit later, when I got “The Substance of Perception” ready and I got in touch with Frederic Arbour/Cyclic Law, I knocked at Nihil and Daria’s doors again, and as you can see they did a spectacular job, which I’m very proud of. Michael: Does religion or spirituality play any role in your music? Alessio: I do live music in my own ‘spiritual’ way (which is pretty personal and I feel like I’m not even able to describe it), even though I don’t consider myself a religious person. Michael: I see that you are Italian, from the album blurb on Cyclic Law, may I ask which region you reside in? Does your Italian heritage play any important role in your music, or do you consider yourself a more internationally-aligned person/project? Alessio: Correct, I am Italian and I live in a region named Liguria. But, I gotta be honest, I don’t feel like being Italian plays any particular role in my music. I’d say I consider myself a more internationally-aligned person/project. Michael: Your previous release, The NHART Demo[n]s, is currently available for free on your Bandcamp page. These tracks were recorded back in 2009. Why such a long break in between the Nhart project and the dawning of NERATERRÆ? Were you still creating any music over this period? Or, did you need a break and a re-focusing before continuing with your musical ventures? Alessio: I wanted to start NERATERRÆ in a very precise moment of my life. I wanted to have a clear vision, I considered the options, and I took all the time I needed to decide. I’ve been exploring music on a deeper level and I’ve been studying for years; now I feel like I did the right thing. Michael: I am greatly enjoying the new album, and I wish you the very best in the future with NERATERRÆ! If there are any topics I haven’t mentioned, which you’d like to discuss, let me know! Otherwise, I’ll leave the final words to you! Alessio: Thank you very much Michael, and I’m really glad you like my album. I’d just like to say that I highly appreciate what you’ve been doing for the Dark Ambient scene, It is remarkable. Thank you. You can follow the link in the below player to the Cyclic Law Bandcamp page and purchase The Substance of Perception which will release on 26 April 2019!